What’s New for the 2015 Ford Super Duty? The 2015 Ford Super Duty gets an upgraded engine, a stronger frame, and an upgraded towing package. Ford always makes sure everyone knows your truck is the Super Duty kind. From the massive front grille to the large tailgate stamped with “SUPER DUTY” on the bottom, anyone who didn’t already recognize the massive truck won’t remain ignorant for long. It’s big, it’s brawny, and as you’ll soon find out, it does the job. There are two engines available for the 2015 Ford Super Duty lineup. The base engine is a 6.2-liter V8 that produces 385 horsepower and 405 pound-feet of torque, but those concerned with real heavy-duty towing will be most interested in the optional 6.7-liter turbocharged diesel V8. That one produces 440 horsepower and a whopping 860 pound-feet of torque. 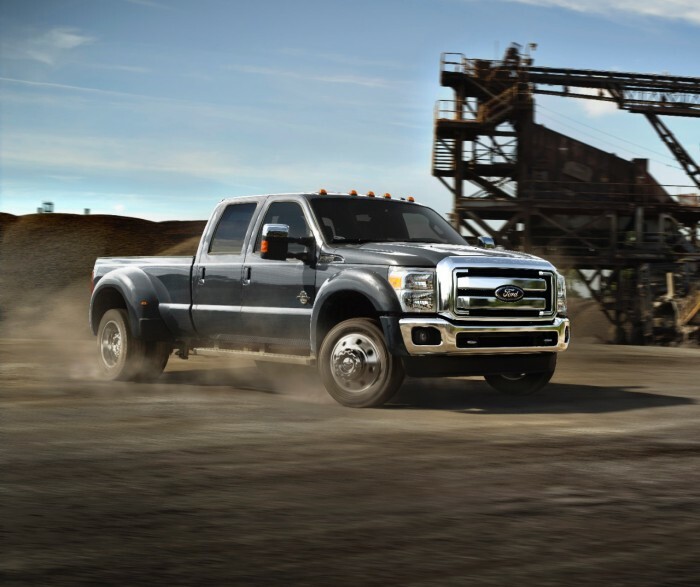 When properly equipped, the 2015 F-250 can haul up to 16,800 lbs, the F-350 up to 26,500 lbs, and the F-450 up to 31,200 lbs. Mileage ratings have yet to be released for the 2015 Ford Super Duty, but Ford advertises best-in-class diesel fuel economy for the 6.7-liter V8. 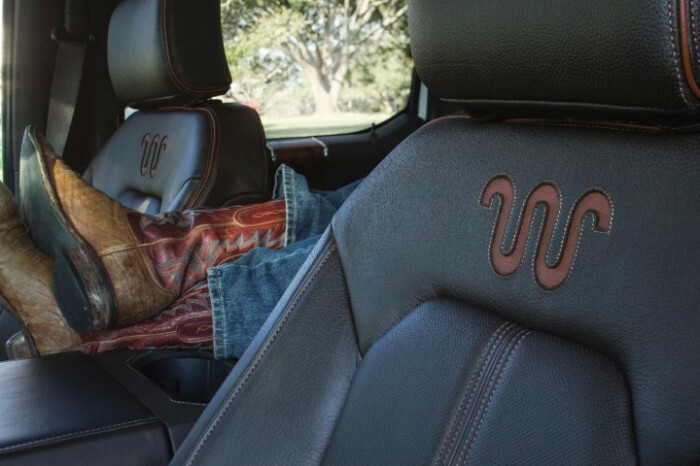 The 2015 Ford Super Duty makes no sacrifices in interior comfort and luxury, especially on upper trims. You can expect a heated steering wheel, cooling front seats, soft leather, and a large multifunction display in the instrument cluster that lets the driver do just about anything. Nonetheless, it’s a work truck first and foremost with plenty of storage and utility options, like a lockable bin under the rear seats and an optional 110-volt power outlet. The 2015 Ford Super Duty comes standard with four-wheel antilock disc brakes, traction and stability control, trailer sway control, hill start assist, side curtain airbags, and an SOS post-crash alert system. An integrated trail brake controller, rear parking sensor, and rearview camera are also available on upper trims.